Energy converting floor systems for high footfall areas. 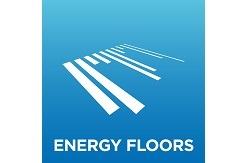 Energy Floors develops, sells and rents innovative floor systems that convert kinetic energy from pedestrians and solar energy into electricity. In the fight against climate change raising awareness about energy production and energy consumption is an important element. People need to be engaged and educated about the importance of renewable energy and reducing their footprint. Energy Floors offers a tool to produce local clean energy and educate at the same time: a Hybrid Energy Floor. This floor converts kinetic and solar power to electricity, which is used to power educational energy games, lighting and usb devices. Helps meet sustainability targets, while interactively teaching about renewable energy.